Make the refried black beans according to my Refried Bean recipe substituting the beans and hot pepper. While the beans are cooking on the second day, preheat oven to 400 degrees. 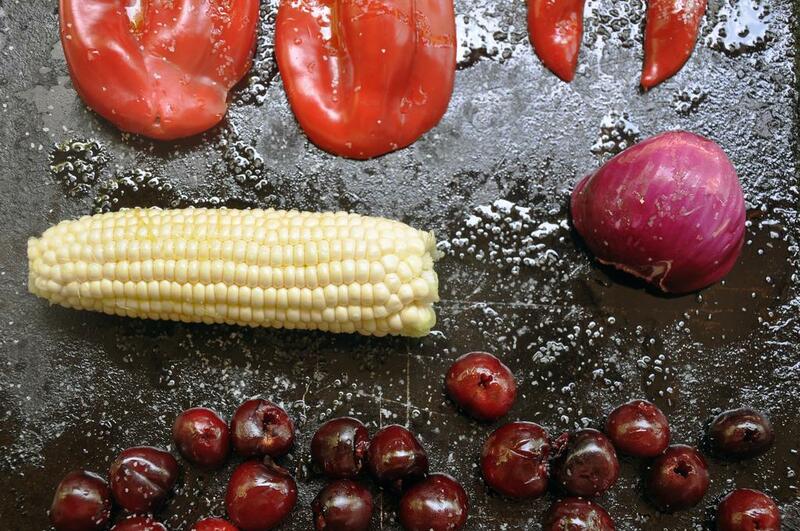 Lay vegetables and cherries on a cookie sheet. Drizzle with EVOO and 1/2 tsp salt. Roast 20 minutes. Remove and let cool. 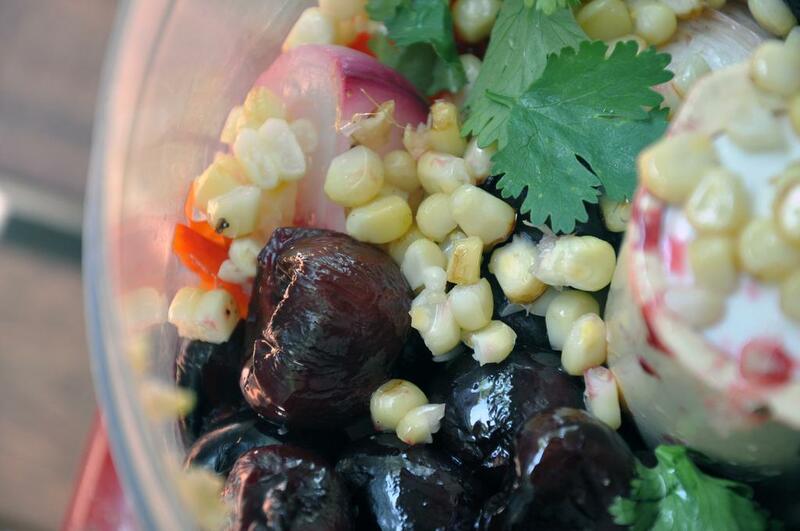 In a food processor, add the roasted cherries and vegetables along with remaining 1/2 tsp salt, cilantro and lime juice. Pulse about 8-10 times until incorporated, but still chunky. Spoon into a bowl and set aside. 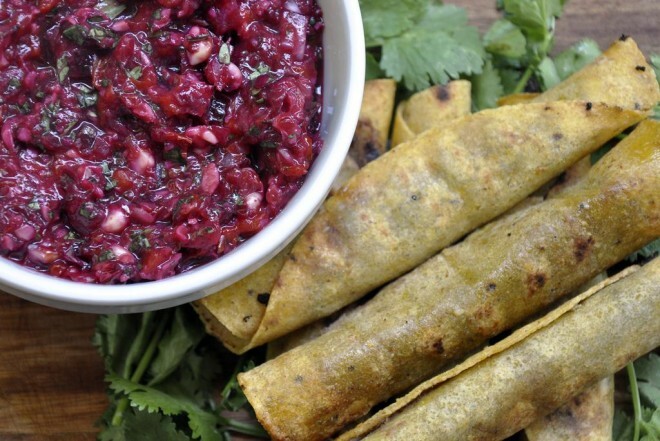 To make the taquitos, heat a grill or grill pan, coated with cooking spray, over medium high heat. Soften the tortillas by alternating two tortillas with a damp paper towel, stacking them. Microwave 30-45 seconds until warm and pliable. 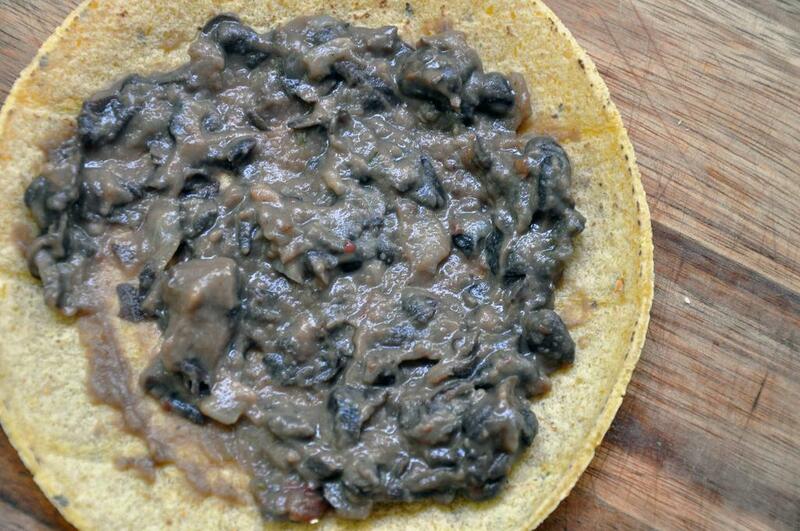 Spread each tortilla with 1-2 Tbsp refried beans, then roll up tightly. Place on grill/grill pan and cook 2-3 minutes on each side until browned. Remove and serve with salsa.